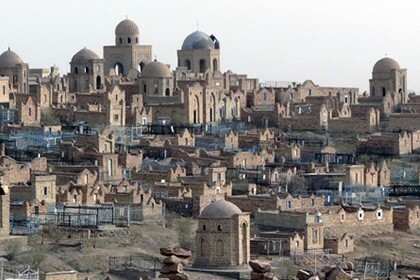 The Dakhma Chilpik is a vivid example of Zoroastrian culture, which still hides many secrets. It was discovered recently, in the middle of the last century. The structure sited on a high hill, 35 m above the ground. 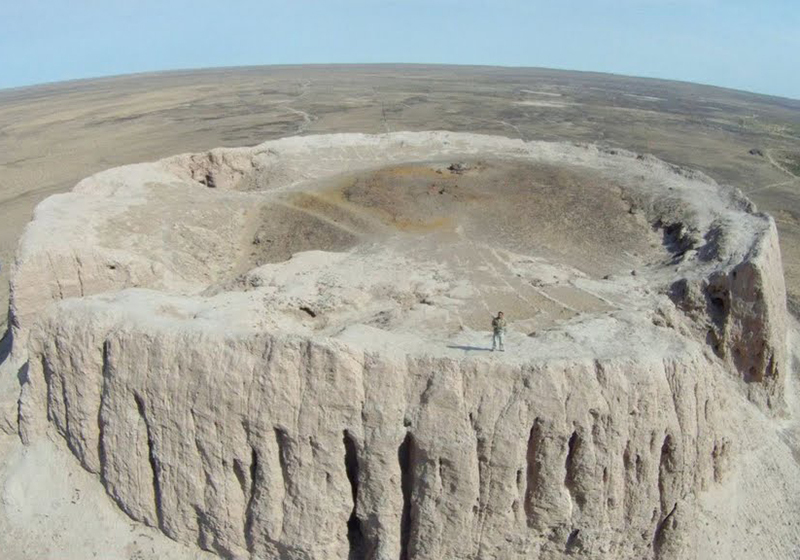 The diameter of the Dakhma is 80 meters. Its top is crowned by a peculiar crown. The building is surrounded by a brick wall 15 meters high. It is noteworthy that special bricks typical for the ancient period were used for the construction. 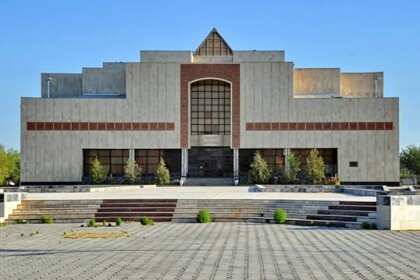 This construction is interesting for its greatness and historical past, as well as for the atypical design and for the architectural design used in its construction. 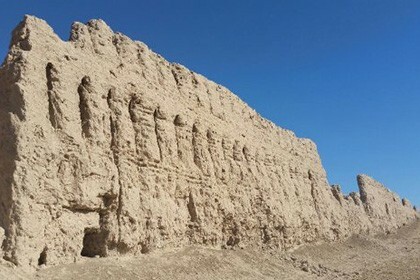 The fact is that Dakhma in its appearance is completely different from similar structures scattered throughout Khorezm and the region (among those that were erected in the same period). 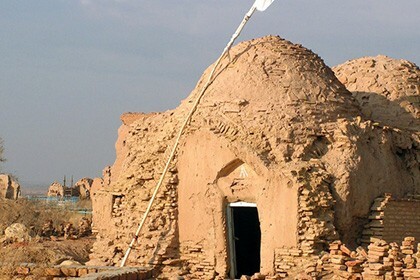 There is a distinct similarity between this building and the Ayaz-Kala fortress. This version that this structure served for defense is not correct, since Dakhma is not equipped with embrasures or defensive towers. And there is no place for soldiers who could defend the fortress. By the way, scientists during the study of structures, did not find any evidence that people had ever been here. There are also no legends about Dakhma. Presumably (judging by the fragments of ossuaries), the Zoroastrians used it as a place for preparing the dead for burial. The bodies were brought here and left until only sunburned bones were left. Then the remains were transferred to ossuary. Burial vessels were buried here - on a hill. The inscriptions found here confirm this version.